In September 2015, the United Nations (UN) adopted Sustainable Development Goals (SDGs), a global agenda aiming to end poverty, protect the planet and ensure prosperity for all. In particular, SDG 4 reflects a new global vision for education and includes a target 4.7 on ensuring that all learners acquire the knowledge and skills needed to promote sustainable development. We must make sure that the world which we will hand the younger generation will be sustainable. Inspired by this agenda, the UNESCO Cluster Office for Kazakhstan, Kyrgyzstan, Tajikistan, and Uzbekistan and the Asia-Pacific Centre of Education for International Understanding under auspices of UNESCO (APCEIU), with support of the UNESCO associated school 'Dostar', organized the three-day Sub-regional Workshop on implementing Education for Sustainable Development (ESD) and Global Citizenship Education (GCED) at local level in Central Asia. This event took place in Almaty on 27-29 September on the occasion of the World Teachers’ Day. It was part of the follow-up to the previous introduction to teachers on global citizenship education, which identified a need to improve the knowledge of regional education officers in GCED and related topics such as prevention of violent extremism through education. The training presented global and regional strategies to attain the target on education for sustainable development, provided an awakening to the routine way of thinking and heightened sensitivity to issues of paramount importance in the world and Central Asia that would enable local educators to teach students on how to live together. The main target audience of the meeting combined representatives of regional and district education departments, teachers from UNESCO associated schools and ministries of education in the sub-region. The specialists from UNESCO Almaty, APCEIU, OSCE, UNICEF, private sector, civil society and schools conducted the sessions of the workshop. The participants listened to presentations and engaged in thought-provoking discussions during plenary sessions on fostering GCED and other 21st Century Skills, peace education, ways of implementing SDG 4 target 4.7 at a local level, learning for sustainable development, and specific examples of implementing ESD and GCED at school and university levels. 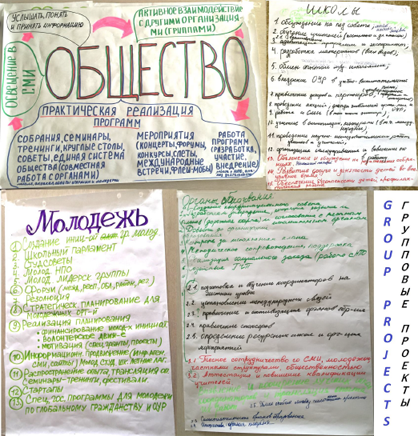 Some featured resources and projects included guidelines for teachers to meet challenges of the 21st century learning in the Asia-Pacific, comprehensive school safety practices in Central Asia and South Caucasus, guide to teachers on prevention of violent extremism, happy schools framework, climate change and water education, and learning with intangible heritage. 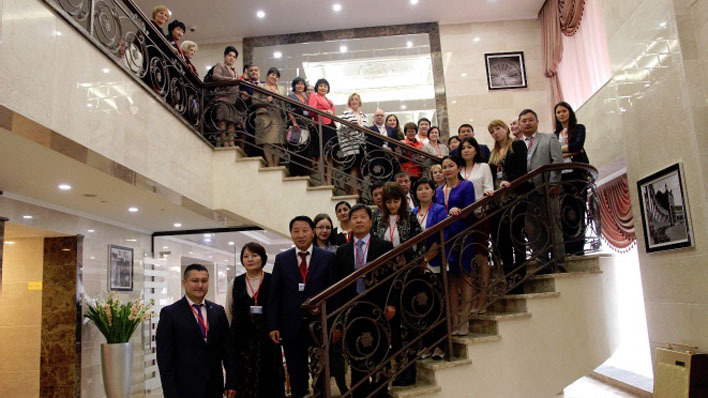 The meeting participants shared different strategies and lessons, garnered from the experience of partners working in the field of ESD and GCED in the world, the Asia-Pacific region and, in particular Central Asia. During focused group work on day two and three, the delegates deepened their understanding of GCED and ESD concepts, shared their initiatives as well as areas for collaboration with participating partners from the Central Asian region. 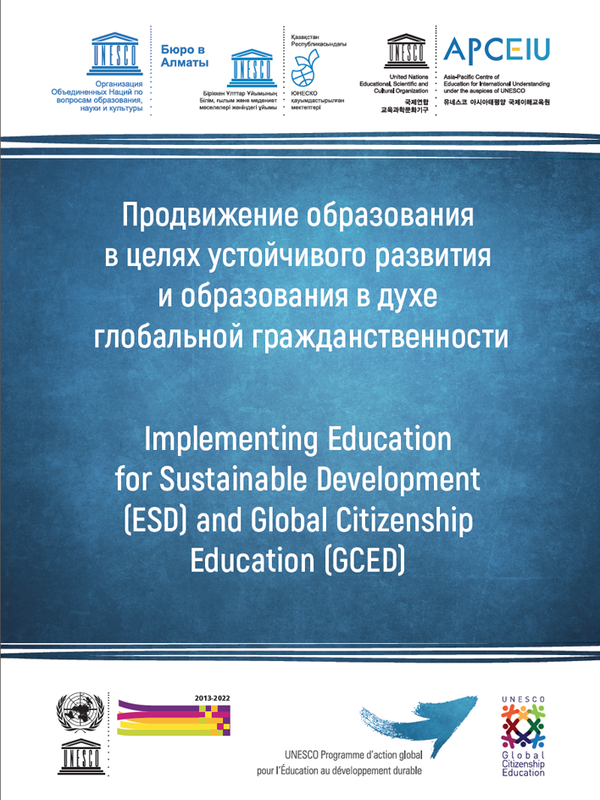 The representatives of UNESCO, UNICEF, OSCE, civil society, ministry of education, regional education departments and schools proposed some ideas for a way forward to implement ESD and GCED at local level. As part of next steps, the participants of the Workshop will complete a country case study template, which will illustrate practical examples of what they and their offices or schools are already doing and plan to start as new projects to mainstream ESD and GCED in their countries. The participants also had a chance to visit Miras School, an UNESCO associated school in Almaty, featuring the latest methods of pedagogy, which involves some aspects of global citizenship education and education for sustainable development to encourage academic and personal growth of its students. To sum up, the workshop provided rich background and materials as well as practical working opportunities, which collected a number of positive reviews from participants and suggestions for future cooperation with UNESCO, APCEIU and other key partners in supporting implementation of ESD and GCED at local level in Central Asia.